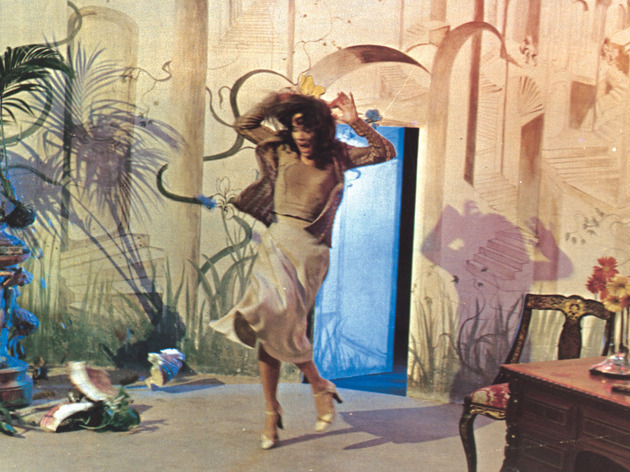 From his stylish, atmosphere-laden opening - young American ballet student arriving in Europe during a storm - Argento relentlessly assaults his audience: his own rock score (all dissonance and heavy-breathing) blasts out in stereo, while Jessica Harper gets threatened by location, cast, weather and camera. Thunderstorms and extraordinarily grotesque murders pile up as Argento happily abandons plot mechanics to provide a bravura display of his technical skill. With his sharp eye for the bizarre and for vulgar over-decoration, it's always fascinating to watch; the thrills and spills are so classy and fast that the movie becomes in effect what horror movies seemed like when you were too young to get in to see them. Don't think, just panic. I agree! You won't forget this film (as most of Argento ' s). 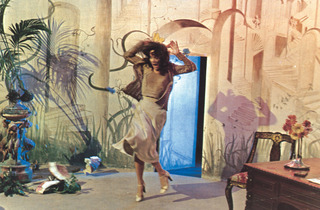 Despite the very annoying soundtrack, I think Suspiria is a little gem and any horror lover needs to see it. The work on colours and sets is just incredible and goes on throughout the whole movie. These saturated colours jointed with what I called "annoying soundtrack' earlier create a tensed atmosphere echoing perfectly with the main character's panic / situation. Maybe it's worth mentioning that Suspiria is quite a bloody movie for any sensible hearts but in my opinion an indisputable masterpiece! "Suspiria" is,in my view anyway,one of the greatest horror films ever made.A mosaic of lurid colours and pure & operatic horror(the first 20 minutes of the film is without question the greatest opening to a horror film ever directed)it continues to shock and amaze in every way. In short a true masterpiece and on a personal level without this film i would have been introduced not only to the genius of Dario Argento but to the brilliance of italian horror in the first place. The Best art horror to ever grace the screen. Surrealistic and colorful visuals and a thick fairytale atmosphere give this movie a unique touch that really gets your imagination going. Extreme violence is a nice spice and Argentos exceptional camera work is moody and creepy ......as always. The movie also contains some interesting details that make it fun to watch more than once. I guess i do not have to tell you how great Goblins music is but i can say that it is among their very best. The movie does however have some flaws and if you feel that you are not ready to watch beyond these minor problems then i guess it is not your kind of movie and you should watch something by Michael Bay. If you are open minded and want a psychedelic horror movie with fantastic fairytale atmosphere and dreamy visuals then this is for you.